It was a good experience, though, because it provided the necessary information to get on and draw bees - their little bodies are simply filled with anatomical complexities which they rely on to carry out good work around the world - bees really are quite fascinating! 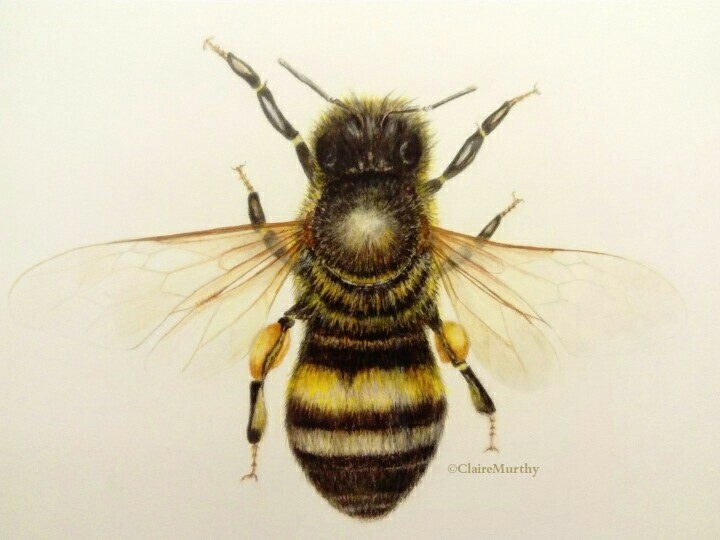 The original bee sketch was based on a European Honey Bee (Apis mellifera). It was done as a traditional vintage drawing or illustration of a honey bee and is Apis mellifera : One. More on their way!